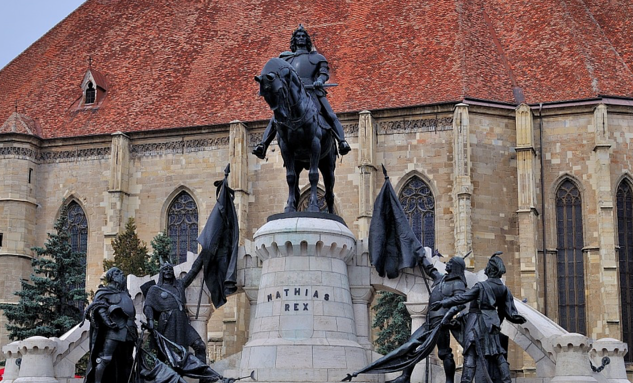 Never heard of Cluj-Napoca? Neither had I … but after a little research, I’m trying to find when I can see this part of Romania ASAP because it’s gorgeous! Want to see more of Romania? Volunteer here! Get your questions answered here. Don’t have this European country on your bucket list? Time to change all of that! There are some dreamy fairytale-worthy churches and endless castles to explore … not to mention tons of other rad spots to explore in Romania. Plus, we just found one more weekend (or short vacation) getaway for you to see for yourself — a little place called Cluj-Napoca. Volunteers involved with ILP's humanitarian program will be living in Iasi, which means it's very easy to get to Cluj. Iasi is rather well-connected as a transportation hub, which means you can take a flight, a train or bus to get here. You can find a flight on Jetcost for around 30 Euros and up; the flight is just over an hour long. Trains and buses take longer, but that's really not a factor if you're booking overnight trains and buses; that way, you just fall asleep and wake up in Cluj. The rides are about 8-10 hours, and vary between $18 - $29. Wanna see the most of this red-roof topped city? Go by bike. There are lots of spots where you can rent a bike for the day and see more than you could by walking. Downton Cluj is pretty flat but the whole city is in a valley, so be prepared to bike uphill if you want to explore the apartments … Oh, and don’t forget to stop by and taste a Kurtoskalacs (a traditional Transylvanian pastry) on your bike ride! They’re yummmmm. Get your bikes at the Raiffeisen Bank agencies; you'll find vendors like Down Town Rent a Bike, I’Velo or StudentObike offering rentals. After a day in the city, head outside of Cluj to explore some gorgeous sites, like the Cojocna Baths. Found in the summer resort town of Cojocna, find two lakes here (the Cojocna Salt Lakes) that are salty enough that you just float on the surface of the water, instead of sinking when you jump in. Plan on hanging out on the sandy beaches to play volleyball, badminton or to build a sandcastle or two after your soak. Cojocna is 25 kilometres away from Cluj-Napoca and is easy to reach via bus (tickets are less than 2 Euro) and depart every day, usually in the morning, afternoon and evening. Entry tickets to the baths are 10 RON, with no student discount. They are open from 7:00 AM to 7:00 PM. Another site to see is Tarnita Lake, just about 20-30 minutes away from downtown Cluj-Napoca. The whole area is gorgeous, made up of four dams that were meant to produce electricity for the nearby city during communist times. 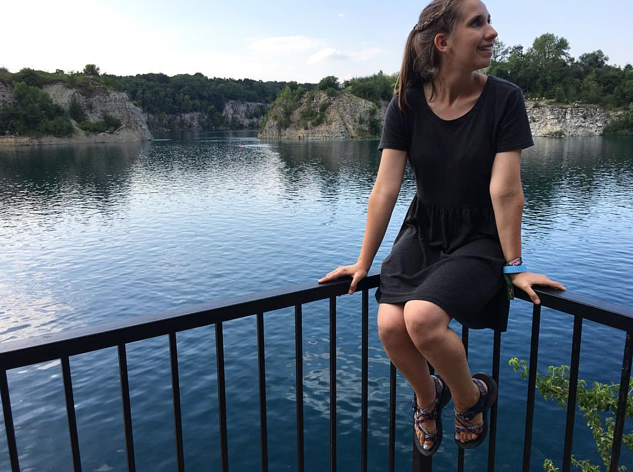 But now, you can visit for some boat rides, a swim in the water or the chance to even see the flooded village: On the bottom of Lake Belish, there used to be a village there, that is now completely submerged. Rumors have it that you can see the top of the church’s steeple during summers where the lake’s water levels are low. The best thing to do is get a bus to nearby Gilau (here's a bus schedule) then get a taxi up to the specific lake. There are a few lakes in this area for you to explore. So Turda isn’t technically in Cluj-Napoca, but it’s close and worth seeing! There’s lot a to do in Turda but the biggest draw is the underground theme park — yep! 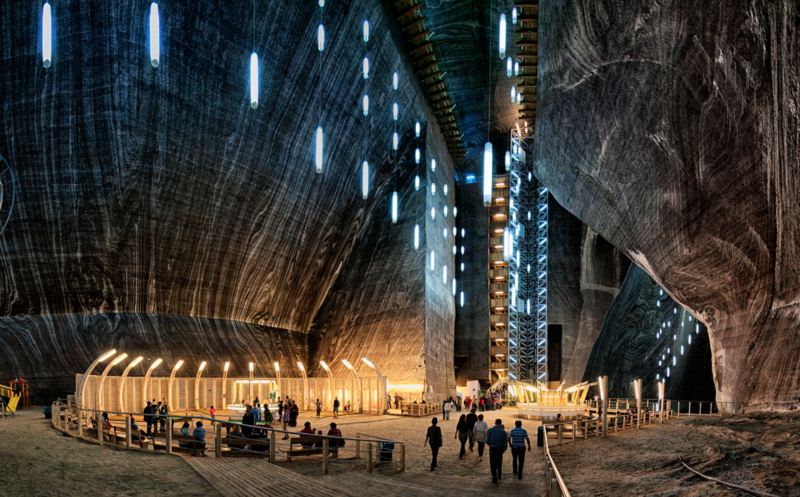 Come see a ferris wheel and other attractions deep in an ancient salt mine. Get more info about this awesome day trip right here. There are buses that go from Cluj to Turda every twenty minutes, which makes a visit very easy. 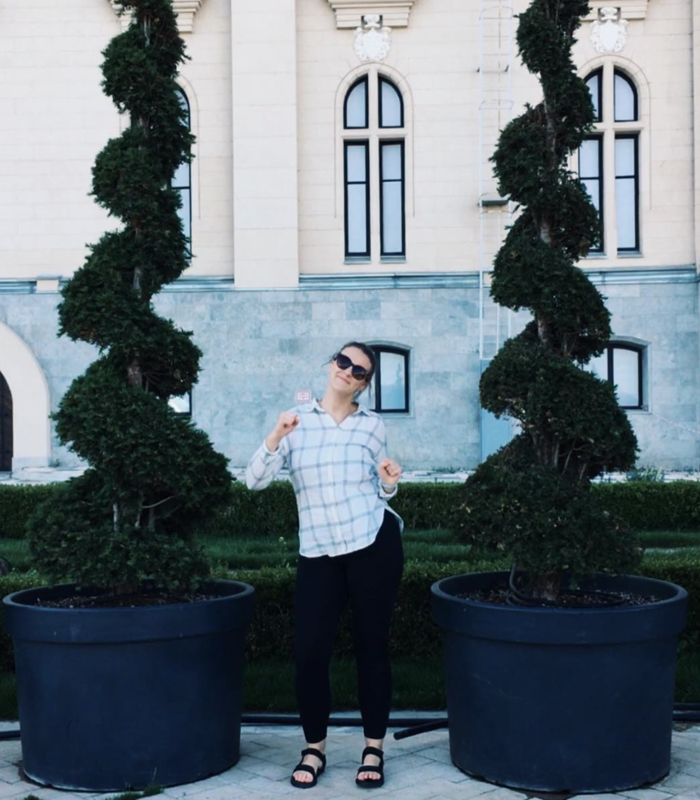 Cluj has it’s very own Central Park that is worth seeing, and the Botanic gardens here can’t be beat. There are also dozens of gorgeous cathedrals and ancient churches you could explore in an afternoon. The city also has an odd collection of museums that talk about everything from art, this history of Transylvania and what medicine looked like 500 years ago. Like most cities in Europe, there are free walking tours you can check out that may take you to most of these places. This WikiTravel page has a whole section dedicated to the pretty buildings and things to do in Cluj, as well as helpful transportation information to help you get around. 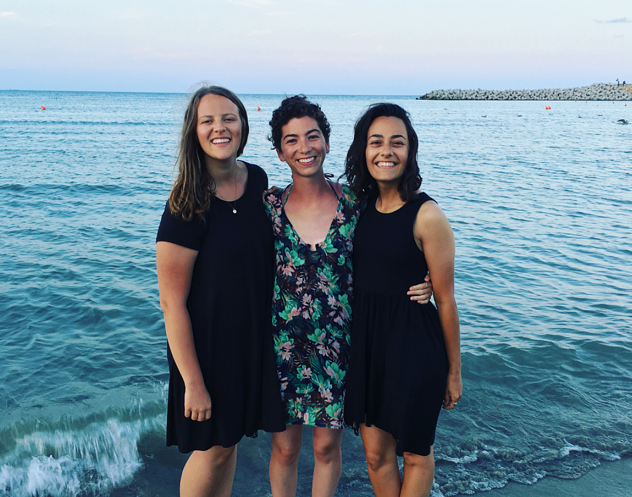 It’s time to plan out your semester living in Romania, right? 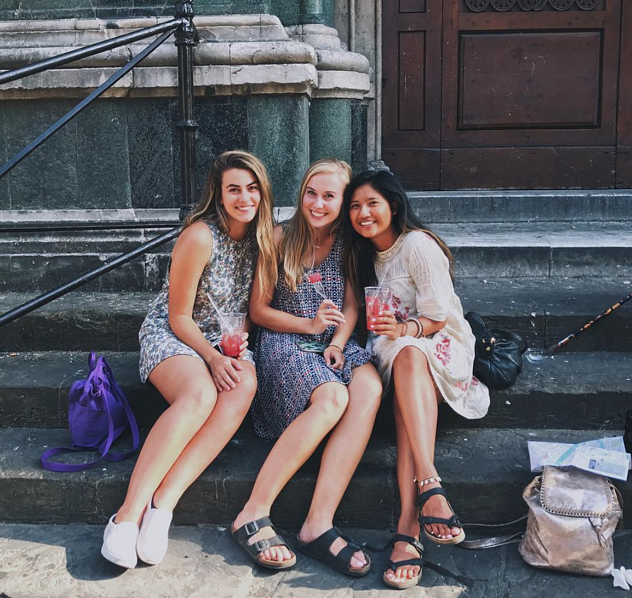 When you’re not on vacation, you’ll be helping out in a local orphanage and hospital — all as a volunteer with International Language Programs.